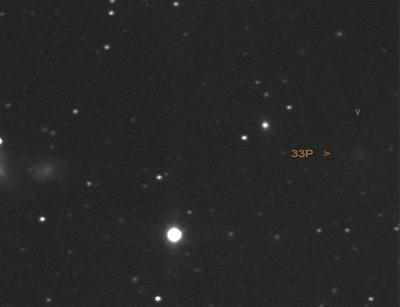 Zachheus Daniel from Halsted Observatory in New Jersey (now FitzRandolph Observatory) found this comet at December,7 1909. The spacecraft Deep Space 1 performed a flyby at September,21 2001. 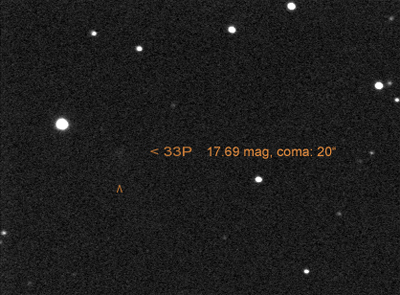 After getting a hint of Seiichi Yoshida and Dr. Andrea Pastorello I found the Supernova 2000ch on my images. 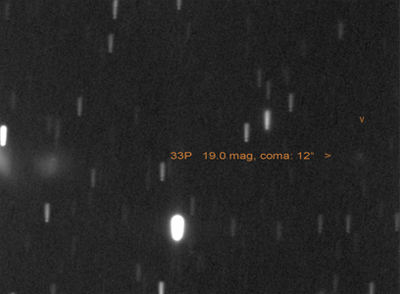 The comet suffered an outburst up to 13.5 mag end of February 2009 for around two weeks. Unfortuately the weather here in Germany hampered me to take photos during the eruption.